Officials blocked off the area after the driver got stuck. LOUISVILLE, KY (WAVE) - Roads around Metro Louisville are beginning to close as the Ohio River continues to rise. It’s important to remember not to drive in high water. 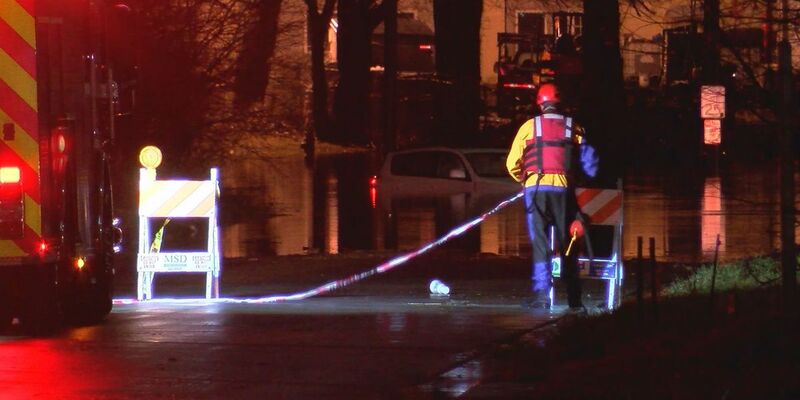 “Even if the water looks passable, you can’t see the conditions of the road underneath it,” Jody Meiman, director of Louisville Metro Emergency Services, elaborated. " There could be sewer caps that could be removed which could cause some problems, somebody could fall into that. Obviously, we don’t want anybody planing in that or going into the water." Meiman also broke down just how much water it takes for a vehicle to get stuck in the high waters. According to UofL’s Kenny Klein, those attending the UofL basketball game Tuesday night will not be able to turn right onto River Road exiting at Third Street off I-64. Fans should arrive early for the blackout game, as it’s approaching a sellout.